Our lesson for today is how to properly handle your grimoire. 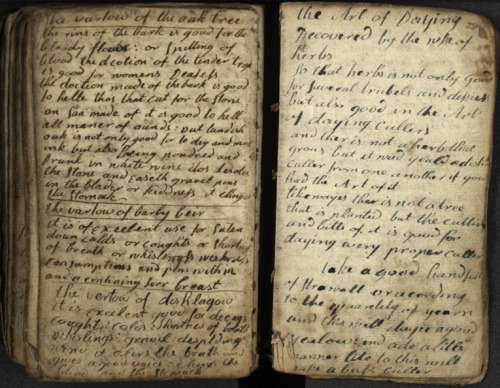 In the society that we all face today, it is vitally important that we maintain and respect our grimoires (or Book of Shadows) with the utmost care. We, at The Green Fairy Grimoire, have compiled a neat little list on how you should best maintain a relationship with your magickal textbooks. Never allow anyone but yourself to look upon the material of its pages. If someone other than yourself has peered at it, you must burn it. Many people do not understand why only the owner of a grimoire can look within and this is simply because your grimoire is traditionally viewed upon as the soul/spirit of you. Your soul is to be kept secret and handled with the highest level of care. You soul is sacred. If, unfortunately, someone other than yourself views your grimoire, it must be burned. This is because once set aflame (in a safe place) you are cleansing yourself of invasion, intrusion and disillusion. Your grimoire is always to be handwritten. This maintains authentication. It is strongly encouraged that your grimoire be organized in a concise manner. It must represent who you are not who you want to be. All negativity must not be included in the same grimoire as positive spells and incantations. This pollutes the “good/healing” aura of the positive spells. Always give a name to your grimoire. It is essentially supposed to be part of your entity. Always leave your grimoire free from dust, dirt and other dirty surroundings. Always keep your grimoire in a private/secret place. Preferably locked away. Lastly, we will reiterate that your grimoire should be treated as if it were an extension of yourself. Traditionally, a grimoire is the deepest part of a practitioners soul/spirit/being. If one cannot respect their exterior then one must respect their interior… In the good words of J.R.R. Tolkien, “Keep it secret, keep it safe”. A safe grimoire maintains harmony of being. 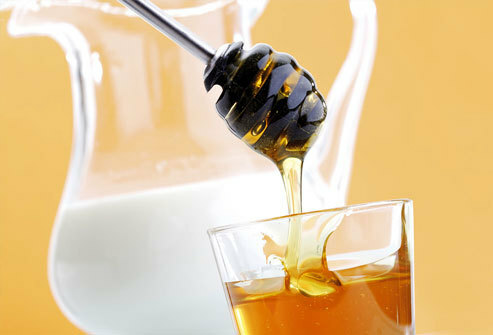 Honey has been described as holding a variety of health benefits in any holy text for centuries. Don’t believe me? Islam has a “Sura” or chapter specifically reserved for relaying the benefits of honey that God has given to his people. That’s why this quick tonic can help relieve some of your troubles. This is for healing so if you’re not hurt; it most likely will be completely irrelevant. IMPORTANT: Do not apply to opened wounds. This spell is strictly for pain such as a headache, toothache, hand pain and environmental allergies. Honey (authentic 100% pure BEE honey). Clover honey will not work. Mix Milk/Cream & honey is a bowl. Mixture will be thick golden-white substance when ready. Dip brush in mixed substance. Apply to the skin of the painful region on your body – if you have a headache apply substance to forehead/eyebrows. Application of this substance will need to be done as if you are painting yourself. Essentially, back and forth paint strokes, please. If applying to eyebrows, lay down to do this so it does not drip into your eyes. If using for pain, you will need to apply the cheese cloth over the substance. You may need to wrap it if it is on your arms or legs (the ribbon is to secure it in place). Leave on for 5-10 minutes. Substance will begin to make your skin feel “alive” or tingle. This is okay. If it stings, you did it wrong (wash off with cool water and dry – do not apply again). If using for enviornmental allergies, only apply 1 teaspoon of substance UNDER your tongue. This is called sub-lingual. The honey and milk/cream substance will be more potent this way. Allow to soak under tongue for about 1-2 minutes. You may also opt-in to swallow the substance completely. This will work too. For allergies, a teaspoon of this mixture will greatly decrease the effects of environmental allergies within a month if taken once a day. A special note, you may also use this awesome tonic in your bathtub as a skin moisturizer. Just be careful not to slip. It works best in warm to hot bath water. Add 3 1/2 cups of substance to bath, mix, and enjoy! Today The Green Fairy will cover a very interesting topic: How To Make Your Own Book! 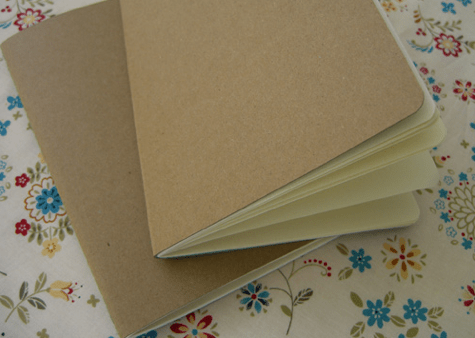 In this post, we will be covering how to make a blank book. Since it will be your book, you can use it for anything from a basic grimoire such as a draft grimoire to a sketch book, journal, notebook, field book…etc. Blank Paper (the amount you choose is up to you) but we will be folding the paper in half so if you choose 10 sheets of paper, your blank book will have 20 pages total. Decorative paper. This will make the “interior design” of the book. You can use only one sheet or you can opt-in you use 2 sheets. Bookbinders awl. This is to pierce holes into the cover for sewing. Large sewing needle. Small or medium will not work effectively. Waxed thread. Any kind, the more decorative, the better. Decorative binding material. For this, we are using an extra piece of decorative paper but you can use leather, fabric… etc if you choose. Glue. Preferably a strong bond glue. Unfortunately Elmer’s Glue will not allow for strong adhesion. Measure your blank paper to the appropriate specifications you would like. For example, if you want your book to be 6 inches tall, measure and draft your line with your ruler & pencil on the blank paper to be 6 inches tall. NOTE: If you would like your book to be 6 inches in width, measure and draft your blank paper to be 12 inches since we will be folding our pages in half. So, for basics, multiply desired end result width by 2. Cut your blank paper per measurements. Utilization of your pencil and ruler will come in handy to ensure your edges are straight. Fold each page of blank paper in half; do this individually. Insert each folded page, one inside the other. Prepare your “interior design” pages (follow steps 1-3). Place interior design sheet(s) on the outside on the blank pages. Prepare your cover cardstock slightly taller and wider than the blank pages. Place cardstock on the outside of the interior design sheets. Open the folded pages to the center of the blank pages. Measure to the exact middle on the fold of the blank page. Mark with your pencil, a strong-clear dot on the fold of the page. From the center measurement, add dots at equal distance from center to top then from center to bottom of fold. NOTE: The more dots you measure out equally, you will inevitability be making the spine of your book stronger. I like to measure my dots 1 cm apart from each other. Be mindful, however, to leave 1 inch approximately free of dots from the top of the book and again, leave free of dots, at the bottom of book. Pierce all of the pages (blank, interior design, cover) with the bookbinders awl where indicated with dots. Each dot will equal a piercing. Be sure that each hole goes all the way through to the cover page. Also, be careful not the stab yourself with the awl. Thread your needle with your waxed thread. Insert threaded needle through the center hole to the inside of your book. Leave three inches of thread hanging on the outside. Push the needle and thread through the top hole to the outside of your book. Bring thread across the back of the book. Insert needle and thread into the bottom hole to the inside of the book. Insert needle and thread into the center hole to the back of the book. The more threading, the stronger the spine of your book will be. Do not let your thread go lax, ensure your thread is always tight or you will create a weak spine regardless. Upon completion of threading, tie off the thread at the back of the book. Then cut off the excess thread. Measure your decorative binding material to the appropriate dimensions so that you may glue it to the back and front of the outside of your book. Apply decorative material to the outside of the book to cover your threading. If need be, you can start decorating the cover of your book. It’s a pretty basic book design concept that you can take to a whole new level if you ever want to expand your book binding skills. This concept of book binding was first implemented in 1892 and is used in modern times as the default binding process for hundreds of book publishers. There are many sources of energy for magickal folk to tap into on our planet but no source is as powerful as our moon. Today, we will be covering the phases of the moon and how each phase will improve and/or increase the power of your spell casting abilities. New Moon: With a new moon, we aren’t talking about the series of Twilight movies however rad they may be. No, the new moon also known as the “virgin moon” brings with it new beginnings; optimistic of heart, mind, body and spirit; increases in hope or faith; new employment; personal improvement such as increased health and beauty. For spells regarding any of the above, use the energy that the new moon gives us to harness your spell. Contrary to popular occult belief the new moon is not called the crescent moon. There are only two kinds of moon phases that involve crescents and they are the new crescent and the old crescent. It is strongly encouraged, that as an informed practitioner, your sources remain accredited and knowledgeable of the natural world while researching how best to conduct your magickal self. New Crescent: The new crescent moon harnesses the same attributes of magick as the New Moon but the energy received from the moon will be less powerful for the above mentioned topics because at this phase the moon is ready to move into its first quarter. First Quarter: The first quarter moon can be a very powerful phase if you harness your energy appropriately. This phases brings forward increased motivation and improved resilience in the face of stress or adversity. Waxing Gibbous: The waxing gibbous brings about unexpected (or expected) opportunities involving new acquirement or increased monetary flow. During this moon phase, it would be very beneficial to approach wishes or hopes for social improvements. Also, spells performed during this phases should encourage healing; inspiration; improved friendships; or be used when conducting elemental magick (magick using water, earth, fire, air, spirit). Full Moon: The full moon is, hands down, the most powerful and potent moon phase because it allows the spell caster to harness all of its natural energy. Positive spells will be very likely answered during this moon phase. 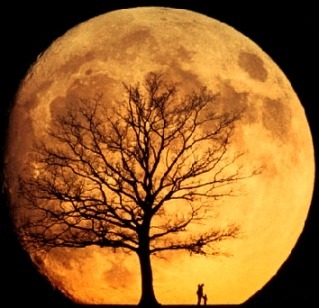 However, scheduling the full power of the full moon may not fit into your schedule. Again, contrary to popular occult belief, you cannot harness the power of the full moon before or after the full moon has manifested. This defeats the entire purpose of there being a full moon phase. If you want the most potent spell then you’re going to have to pencil the full moon phase (that one night ONLY) into your cluttered schedule or you will NOT receive the same effect. (full moon continued) – Specific spells during the full moon should be ones involving: improved fertility, the occurrence/acquisition of love, artistic endeavors, psychic spells or improvement of psychic abilities, spells towards completion, making hard decisions. Waning Gibbous: With the waning gibbous we see the disappearance of the full moon from our sky. During this moon phase it is good to perform spells involving cleansing. For example, casting out old ways, removing bad habits, removal of troubles, removal of anxiety, or even ending bad relationships. Last Quarter: The last quarter moon phase, much like the new crescent, acts with the same attributes towards spells as its preceding waning gibbous. Unlike the waning gibbous, however, spells encouraging change will be more potent during this time. Old Crescent: Spells that are particularly specific to an old crescent are ones involving acceptance or clarity. For example, if you have recently lost a loved one, performing a clarity spell first then closing with an acceptance spell will help encourage you to move towards acceptance in the future. Please note that the opportune practitioner to have success in “moon magick” is one that has advanced beyond the basics of spell casting. Regardless, moon magick largely taps into the element of spirit having only the desired effect when its leader is of sound judgement and mind. If you begin a spell with doubt, it will not be successful or it will go awry.